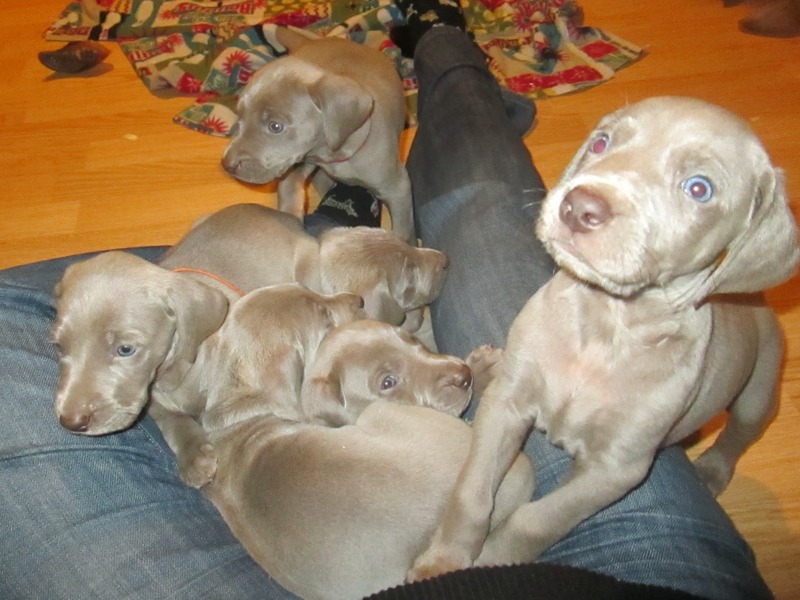 The Orange Collared Male is Silver Gray with a medium, very correct, structure. 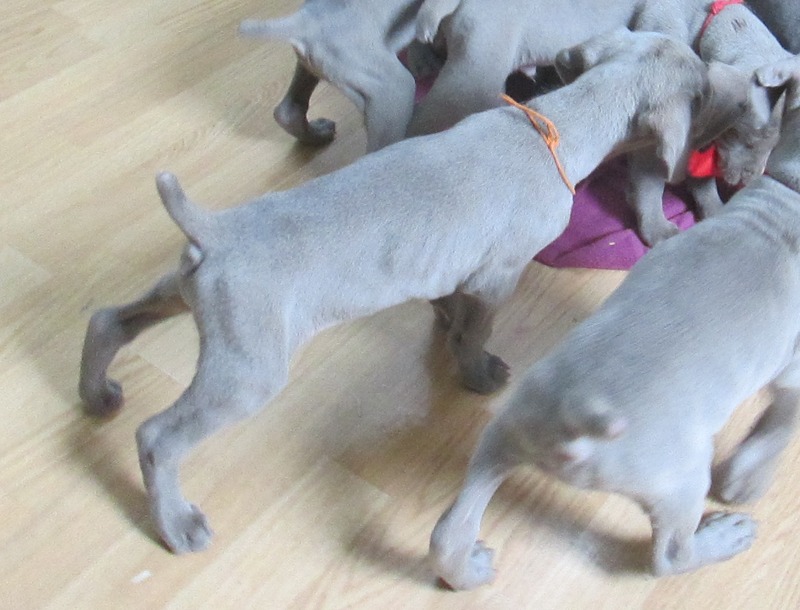 He is the smallest of the group at 5 ½ weeks old but is not far behind the rest. He is fun and happy and seems to be a really easy puppy. Orange Male on Left at 4.5 weeks old. Orange Male profile at 6 weeks old.